Pausing for a short break in my ongoing Ringo Deluxe editions, I thought I would return to a project that I began earlier in the year. I have wanted to complete this for some time, but just never got around to it. This collection attempts to gather all the relevant available recordings from the ‘Somewhere In England’ era. As you will no doubt know this album was originally rejected by the record label for being to downbeat and was released only after significant changes were made to the track listing and in many cases the mixes. I have presented the tracks across two discs, the first being the released album along with the officially released demos and edit versions available, along with an appropriate track written by George and given to Ringo. Disc 2 is the original album as presented to Warners, the source of these tracks are the version of the original album I posted earlier in the year but with what I believe is a significant improvement to ‘Lay His Head’. To round this disc off, I have added the remix tracks made available over the years and the re-recorded Greenpeace version of ‘Save The World’. For each track I will give some detail of the work involved in their preparation, which in some cases was significantly more than i had anticipated! Tracks 1-10. From the original CD release. I prefer this version because of the lack of dynamic compression compared to the reissue. It is also the only source for the short version of Unconsciousness Rules. 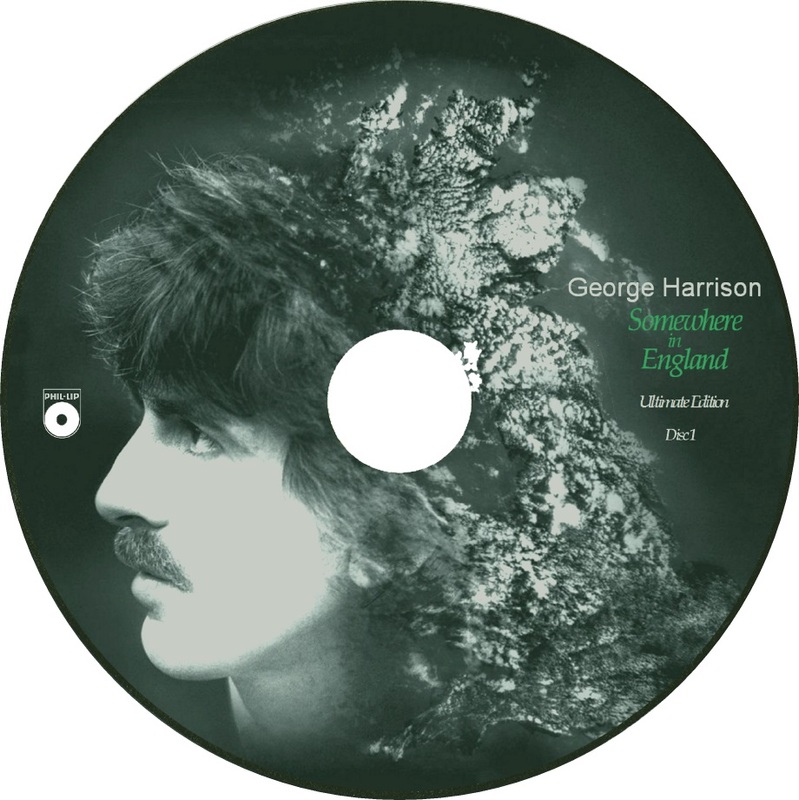 11 - Life Itself (Demo) - It has become apparent to me that either the original ‘Songs by George Harrison’ bonus CD was produced with digital errors or every bootleg I can find with the track is from the same poorly ripped source. I have gone through the track, sometimes as slow as 1% of the correct speed, trying to hunt down as many artifacts as possible, there are a few very quiet ones still there but I can’t seem to isolate and remove them. Hopefully you will not hear them! 12 - Save The World (demo) - Straight forward except If you look at the lyrics in the tag I have not been able identify the word in the line, ‘Dog food ……’. Clearly this was ‘salesman’ in the album version, but at this point was something different. 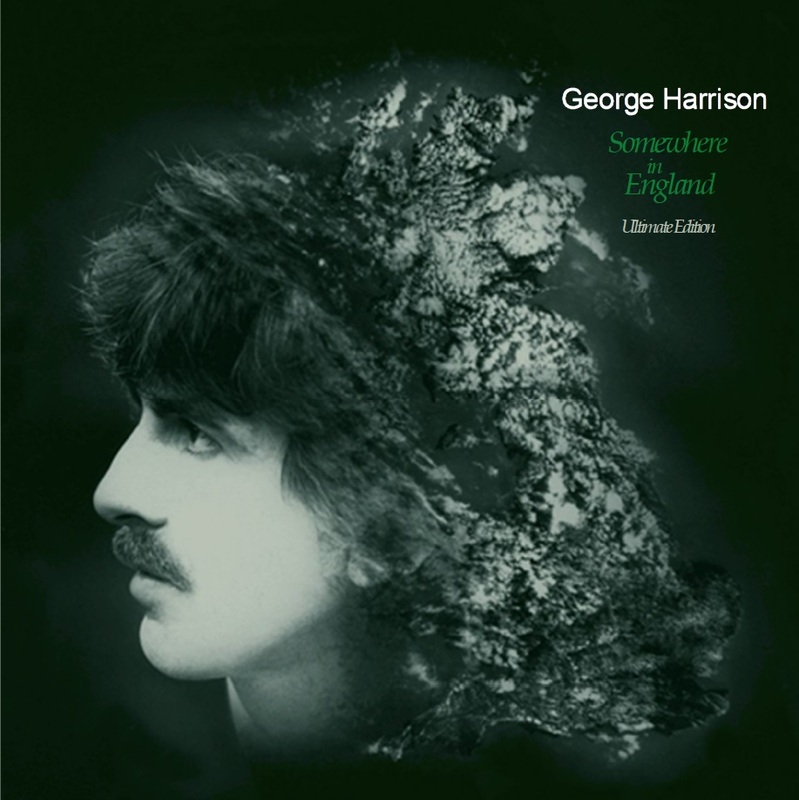 13 - Teardrops (45 Edit) - From the great needledrop by VooDoo records ‘George Harrison - Rarities’. 14 - Wrack My Brain - Sadly I haven’t unearthed some hitherto unavailable version of George performing this track. This is Ringo’s version as recorded for the ‘Stop And Smell The Roses’ album. George does appear faintly appear on the track and it does sound like a ‘Somewhere In England Track’ which is why I decided to include it. As a bonus the version here is the ultra rare Canadian single version as prepared for my ‘Stop and Smell The Roses’ Deluxe edition. 14 - Save The World. As released on the Greenpeace charity album. The start of the track appears to be clipped on the album. It sounds like an intro may have originally been there which was removed before release. I have attempted to restore this so it does not sound quite so jarring. Please enjoy and a happy New Year to all!! 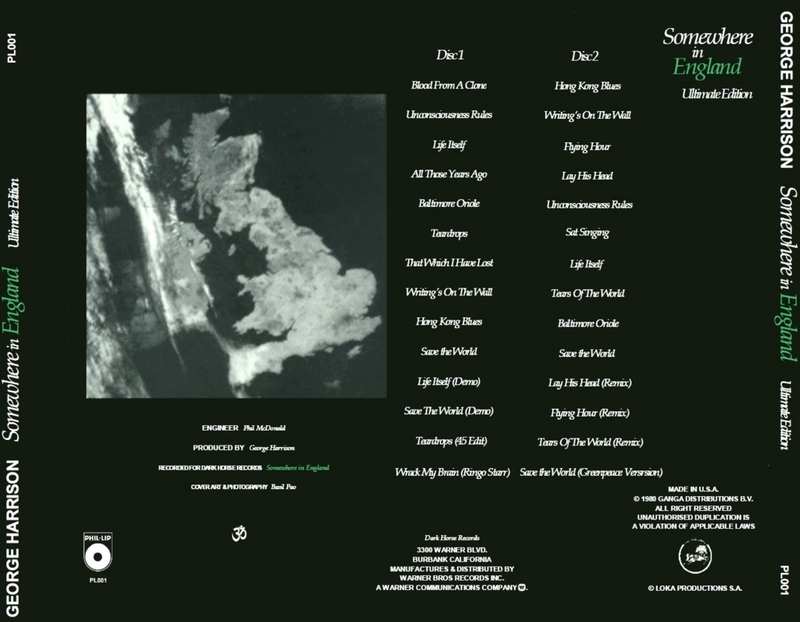 Something I’ve been working on for sometime is trying to create a HQ version of the original Somewhere In England album. If you’re not familiar with the boots, the Pegboy version sound is just about ok but does suffer a from many problems including dropouts, is unbalanced and is too fast. The only other version I’ve heard is the Silent Sea boot which contains a mixture of genuine mixes, outfakes and official versions and because of the different sources does not hold together well. I had a couple of rules, absolutely no noise reduction or channel extraction as these invariably leave artifacts and the mixes were to be as authentic as possible. After many hours work I think I succeeded in my aim and I would now like to share the results. There are still a few anomalies but hopefully, if you spot them you will not find them too distracting. If you are familiar with the original version and do spot anything I’ve missed, please let me know and I’ll try to correct it. Please feel free to share it wherever you like as unfortunately my ISP blocks most torrent sites and whilst it takes me a few seconds to bypass them for downloading I’ve not yet managed to upload anything. Here’s a list of what of the work done to each track.